While Sanjay Leela Bhansali’s Padmavati release in India seems dicey, Britain has cleared it for release but is it really releasing in Britain? Sanjay Leela Bhansali‘s Padmavati has been banned in the states of Rajasthan, Madhya Pradesh, Punjab, Haryana, and Gujarat. States like Jammu and Kashmir along with Maharashtra are planning to ban the movie. 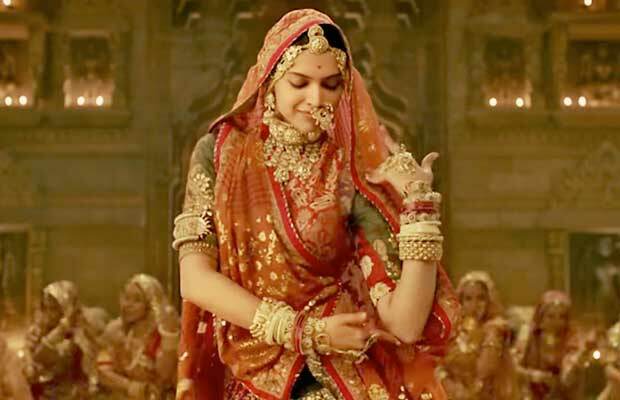 Where the Indian release of the movie seems unlikely the British Board of Film Classification (BBFC) has cleared Padmavati without a single cut on Wednesday. The reasons that are responsible for postponing Deepika Padukone, Ranveer Singh and Shahid Kapoor starrer Padmavati are many. Pending Gujarat elections, misconceptions about an alleged dream sequence in the movie, makers hurting Rajput sentiments and compromising the honor of Queen Padmini being few of the many. While director Sanjay Leela Bhansali has cleared the misconceptions regarding the alleged dream sequence between Queen Padmini portrayed by Deepika and Alauddin Khilji portrayed by Ranveer. He also stated that Padmavati has been made with the responsibility of keeping the dignity and respect of Rajputs in mind. Still, the troubles did not seem to end for Team Padmavati. Deepika Padukone and Sanjay Leela Bhansali have been threatened with bodily harm by the Rajasthan based fringe group— Rajput Karni Sena. The fringe group has threatened to behead director Sanjay Leela Bhansali and chop off actress Deepika’s nose. Given the circumstances, the green light by the British Board of Film Classification will definitely boost the morale of Team Padmavati. Initially, it was announced that Padmavati will be releasing in Britain on December 1st. But according to the latest news, the makers of the movie have decided to not release Padmavati anywhere before the Indian market. While Padmavati has gone back to the CBFC for reviewing, it is unlikely that the movie will release in the country this year. Next articleExclusive Bigg Boss 11: This Team Wins The Courtroom Task!